The UK best annuities will rise with increases in interest rates in the next 12 months from the Bank of England as the economy improves as wages beat inflation following fives years of falling real earnings. UK annuities are mainly based on the 15-year gilt yields which are influenced by the level of interest rates. A 0.5% increase in interest rates could see yields 50 basis points higher and a 5% rise in annuity rates. City analysts are predicting an increase to 1.0% in the short term and to 1.75% by the end of 2015 pushing annuities higher. From April 2015 new pension rules will allow people with funds of £30,000 or greater flexibility with their pension to take an annuity, a regular income from their fund or the full fund as cash. People can take advantage of the rules in 2015 and new innovative income products but if they need to take benefits now, they can use a fixed term plan of flexible income account allowing them to review their options later. The Bank of England governor Mark Carney has not ruled out an interest rate rise before the election in spring 2015 and this would be based on the improvement in the UK economy. Wage growth has also exceed inflation as the Office of National Statistics published figures show pay including bonuses are up 1.7% compared to inflation is 1.6% over three months to February 2014 driven mainly by the private sector. Unemployment in the UK has also reduced from 7.1% in November 2013 to 6.9% in for three months to February with 2.24 million people out of work. Higher interest rates would provide more income to pensioners with savings and increase the income from annuities. A rise to 1.0% would increase annuity rates by approximately 5.0% and with interest rates at 1.75% annuities would be 12.5% higher. 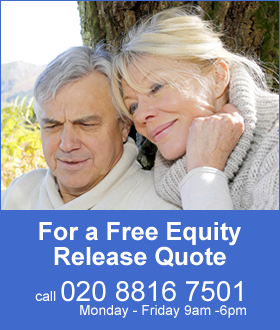 For example tour benchmark is for a person aged 65 with a fund of £100,000 buying a single life, level annuity and the current annuity rate is £6,093 pa. With interest rates at 1.75% annuities would result in an increase of £761 pa to an income of £6,854 pa. In terms of lifetime income, the Office of National Statistics (ONS) would expect a male to live for 17.3 years and he will have £13,165 more over his lifetime. For a female she can expected to live for 20.4 years increasing her income by £15,524. There are a number of important events unfolding in the future that people retiring can benefit from by delaying buying a lifetime annuity. The final pension rules will need to be approved by Royal Assent and this will bring clarity as to how they will be implemented from April 2015. Providers are currently researching new product innovations that will mean greater flexibility for people retiring. This could include products that combine a guaranteed annuity income and access to capital in the future if required. 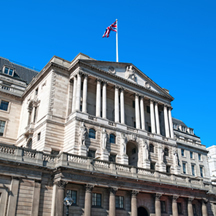 The Bank of England has not ruled out a rise in interest rates before the election and this would result in higher annuity rates in 2015. By taking a lifetime annuity now, people will lose the opportunity to capital at a later date and benefit from higher annuity rates. Delaying taking an income from a pension plan even by one year can mean it is not possible to recover the years lost income over your lifetime. It is possible to take retirement benefits from a pension, a tax free lump sum and income, and return to the lifetime annuity in 2015 when there is greater certainty of the pension rules, product offering and annuity rates. A fixed term plan operating under income drawdown rules allows a person to select an income from nil up to a maximum 150% GAD (government actuaries department) which is approximately 50% more than an annuity. A term of 1 year or more can be selected and at the end of the term a guaranteed maturity amount, known at the start of the plan, is returned. At this point you can purchase a lifetime annuity, another fixed term plan or any other alternative available at that time from any provider. Alternatively, a low cost flexible income account also operating under drawdown rules would allow you to leave the fund in an interest account with full flexibility to access this with a regular income per month, nil income or even one off lump sums. At any time in the future you could transfer your fund to another provider or if after April 2015, take part or all the fund as a cash sum less tax at your marginal rate.